A recent occurrence sums it up nicely for me. I decided to sign up for a publicly funded poetry workshop. The lady who ran it was very sweet, but even though she was very nice, you know when you walk into room full of writers, the liberal worldview predominates. The exercises consisted of free writing that would be shared with the class – because that’s the whole point. Being Catholic and a pro-life activist, the things I think about are worlds away from what other people do. I didn’t want to sow division when I read my stuff because that would just ruin the atmosphere, so I didn’t write what I really thought. Now everyone in the room probably also engaged in a measure of self-censorship. But there’s more to censor when you don’t share the predominant worldview. It was very stifling. I didn’t write what I really wanted to say, which made the material inauthentic. Which is to say, not very good. For me, this speaks to the notion that pro-lifers ought to be really great at what they do best, be it as artists, writers, doctors, lawyers. But the journey is uphill, because oftentimes in order to get to be the best in your field–whatever that field may be–you have to conceal your own convictions. Those who are imbued with tremendous talent can probably be as public as they like from the get go. For the rest of us, though, we have to plug along and do our best, working and waiting and strategically wondering when and how we can reveal who we truly are. Be it Christian, or pro-life, or gasp and good luck to you–both. P.S. I don’t know how this happened, but I ran recently into this fellow who competes in “poetry slams” here in Ottawa. He broke out into a poem right there on the spot, which I very much enjoyed, if in part because it was so unexpected. Anyway, he shares in this particular poem (listen carefully) the struggle of being a Catholic Christian in a hostile culture. I don’t see that Pro Life people involved in Art, nor their art, needs to be hidden. It seems to me that all artists struggle (For that matter, don’t we all?). There is the real struggle of making the art really good and then there is the struggle to get somewhere with really good art. I find the whole story about the BELLA movie to be pertinent. Not a lot of money, not a lot of time, not a lot of support but a lot of recognition. There’s folks out there who will back good work. The Tim Tebow ad for the Super Bowl is interesting. The New York Times, right, the New York Times, ended up supporting the showing of this Pro Life ad. Why? It seems that they think people have the right to see things. Someone somewhere had the vision and the determination to get this thing done. God has lots of say in how things go, but people also have some say. Definitely, eloquence helps a lot. Some learn eloquence and strong communications skills from their parents, but for the rest of us, there’s Toastmasters. Writing a play, a book, a letter to the editor, talking to your own child, all will improve, if you work at it. Self-censorhip would seem to defeat the purpose of being an artist. I mean, aren’t art and artists supposed to tell us the “truth”? Of course, it takes a lot of courage to face down bullies. However, my own experience has convinced me that the majority of people in any gathering feel more bullied than bullying. 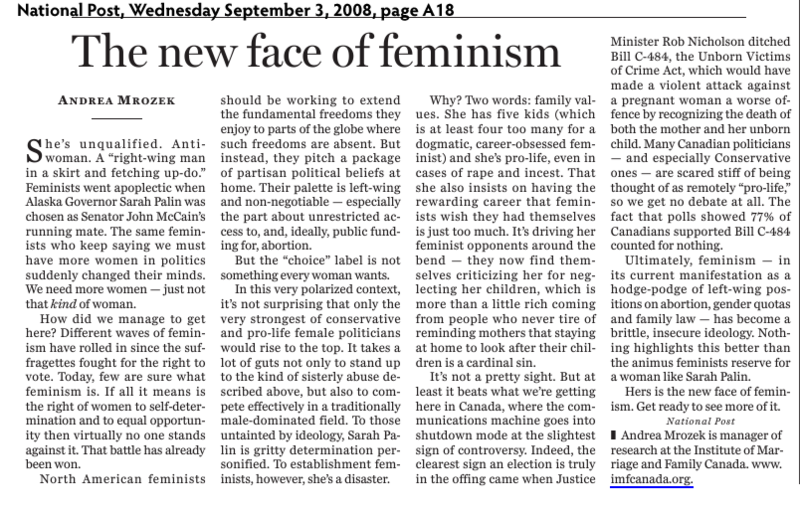 Ms. Fortin may have been surprised by the response to her own truth-telling. I’m a pro-life artist and sidewalk counselor who would be happy to link my website to other pro-life artists. Our ideas do not get alot of attention within the artistic community or the dominant media culture but perhaps we can help each other to build the culture of life.